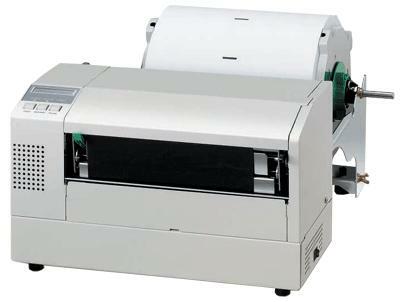 Toshiba TEC B-852 Industrial printer has a strength and ability that belies its appearance. Constructed in steel with the most advanced design in usability, the B-852 offers all the advances of the TOSHIBA TEC Industrial range at an affordable cost. Printing speed: up to 101.6 mm/s. Toshiba TEC B-852 Printer - AGC RFID Kit UHF (868 MHz). Toshiba TEC B-852 Printer - Serial RS-232 Interface.